Antur Shredding is part of the Antur Waunfawr family, that provides work for adults with learning disabilities. By using Antur’s Confidential Shredding services, you’re supporting adults with learning disabilities in their community, supporting local jobs and reducing your carbon footprint. 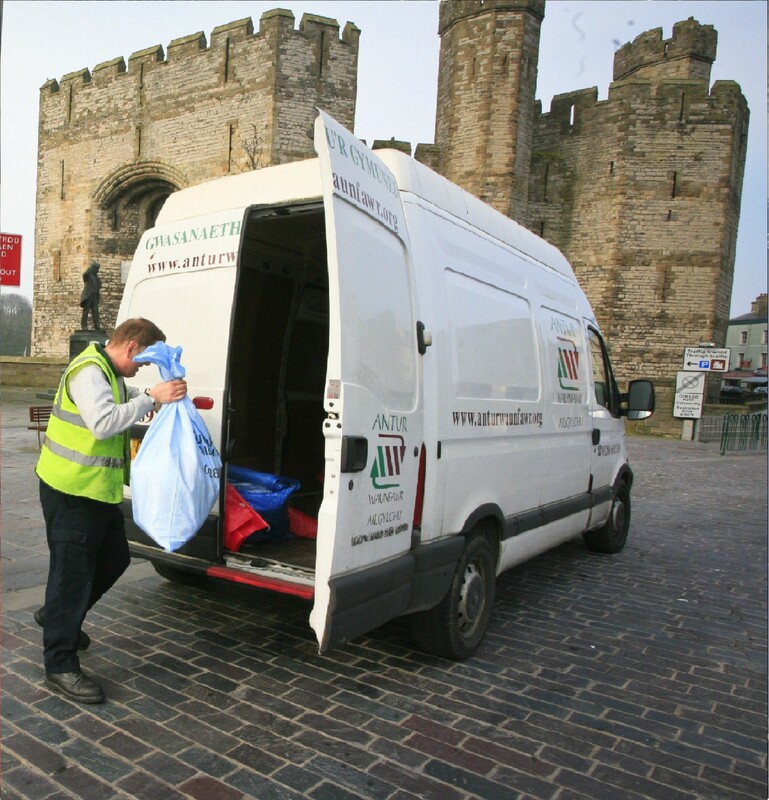 Antur Shredding provides a confidential shredding service for businesses and individuals in Gwynedd, Anglesey and along the North Wales Coast. We specialise in confidential paper shredding. We provide the secure destruction of confidential waste to a 10mm strip-cut. We also recycle general, non-confidential office papers. We are a specialist company with 20 years’ experience in the recycling industry. We provide off-site confidential shredding at our secure, CCTV-monitored site. All our experienced staff are CRB checked. 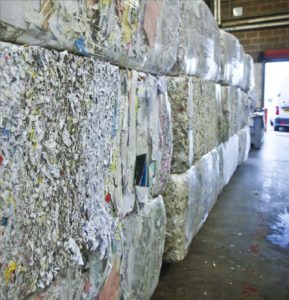 Materials are immediately baled after being in our industrial shredder, before being milled into tissue paper. We carry out regular or one-off collections, just give us a call! We can provide a certificate to confirm shredding for your records. 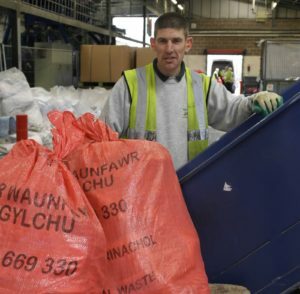 Antur Shredding is part of the Antur Waunfawr family, that provides work for adults with learning disabilities. By using Antur Shredding, you are supporting local jobs and reducing your carbon footprint. We take provide in providing a bilingual service with Welsh-speaking staff.